The birthday pie was a hit, and in September 2012, Wilbanks started experimenting with other pies for fun. Later that month, Alex came home with news: he signed her up to sell pies at a Lawrenceville festival. “That was on a Tuesday,” she recalls. “By Thursday I had business cards, made up a name, bought a tent, and [that weekend] sold pies for $4 a slice.” She sold out, made plans for more festival appearances and at each, she encouraged new fans to write their email address on a notepad for updates. That December, she made almost 500 pies out of her home kitchen, fulfilling orders and shipping them to clients. “Right after Christmas, we said, ‘Let’s lease a space and try and turn this into a business’,” she recalls of how Southern Baked Pie Company was born. 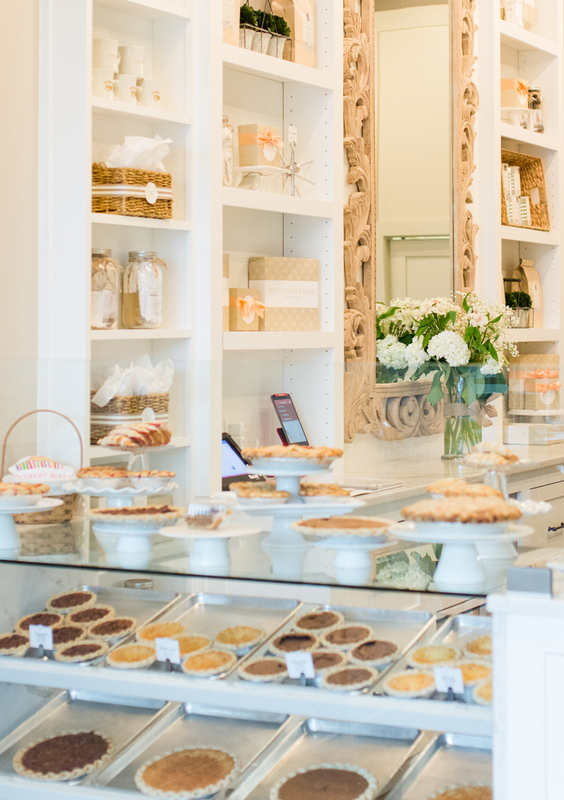 The Gainesville location was later joined by outposts in Buckhead and Alpharetta, and the company continued to ship signature sweet and savory pies around the country. 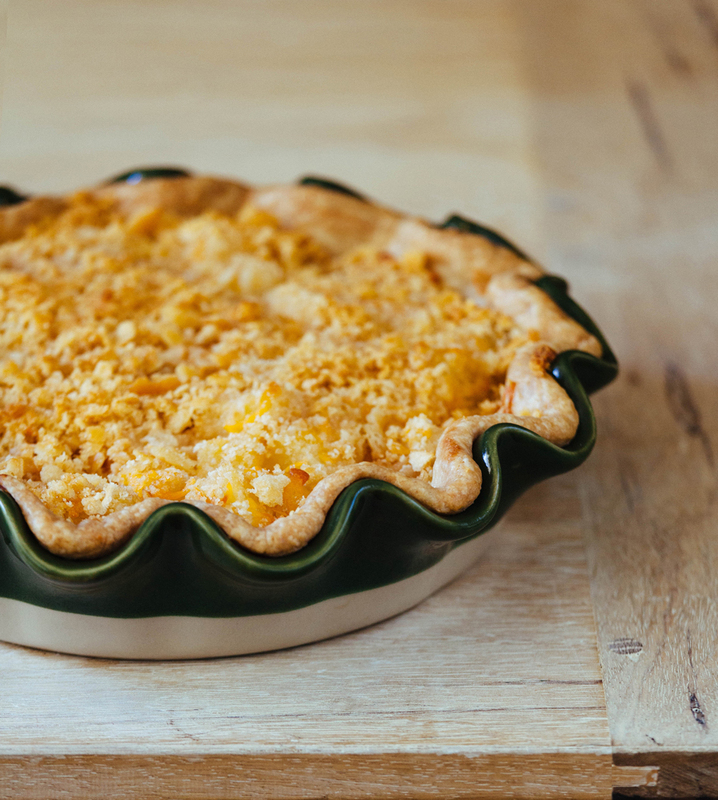 Just last month, Wilbanks got to add cookbook author to her resume with the release of Southern Baked: Celebrating Life with Pie. 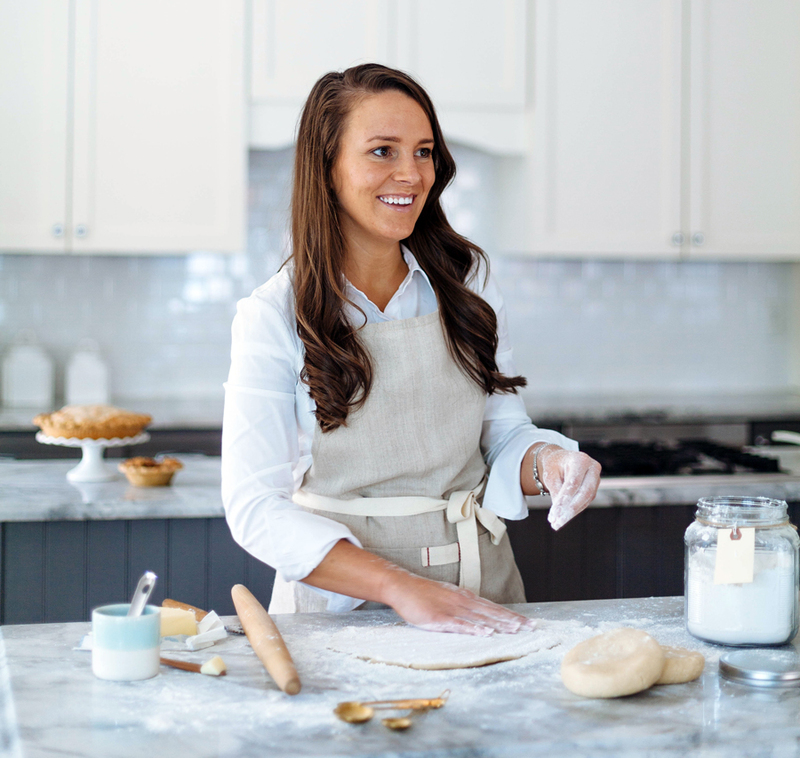 Like many things about her business journey, serendipity put her cookbook on a fast track. Her friend—designer, author, and Southern Living contributor James T. Farmer—suggested she consider publishing a cookbook filled with her most popular pies. “I thought, ‘I don’t know why anybody would want to publish a book by me, but it sounds interesting,’” Wilbanks says. Despite her reluctance, Farmer connected Wilbanks with his editor. One book proposal later, she had a deal and spent a few months in late 2017 writing and testing recipes, and the book of more than 70 beautifully illustrated recipes was released in September. Reprinted with permission courtesy Southern Baked: Celebrating Life with Pie (Gibbs Smith, 2018). Roll out dough into a 12-inch circle. Place into a 9-inch pie plate and flute; prebake the dough (see below for instructions). Drain pineapple, reserving ½ cup juice. Combine flour, sugar, and pineapple in a bowl and toss to coat. Layer pineapple mixture and cheese in pie crust. Pour reserved pineapple juice over the filling. Sprinkle crushed crackers over the top and pour the butter over the crackers. Bake for 40 minutes until lightly browned. A prebaked dough means that the dough is fully cooked, and is used when the filling of a pie recipe will not be baked (such as this one). Roll out dough to desired size and place in pie plate or tart pan. Dock (prick) the dough with a fork on the bottom and up the sides of the plate. Place in freezer for 30 minutes before baking. This helps set the dough. Remove dough from freezer and line the inside of the dough with parchment paper, completely covering the dough. Fill the pie plate with dried beans. The will ensure that the dough maintains its shape. Bake for 12-15 minutes. Remove the beans and parchment and return the pie plate to the oven and bake for 15-20 minutes or until golden brown. Let cool completely before adding filling.